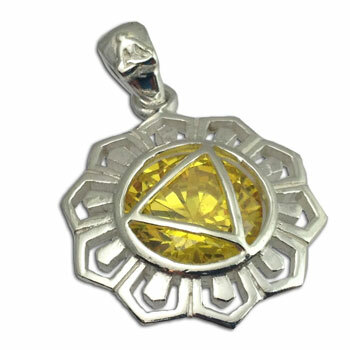 Solar Plexus Chakra Charm with citrine colored cubic zirconia. Sterling silver. 2 cm (3/4 inch). Solar Plexus Chakra (manipura): Will Power. Assertion. Trust.